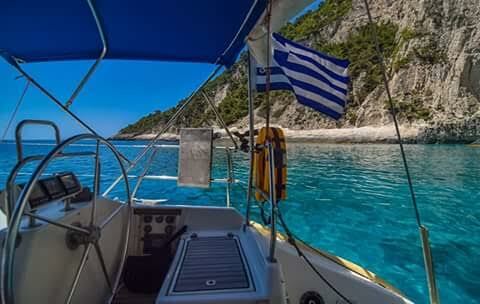 From Zakynthos town harbour we sail southeast wards along the wonderful green coastline of Vasilikos. 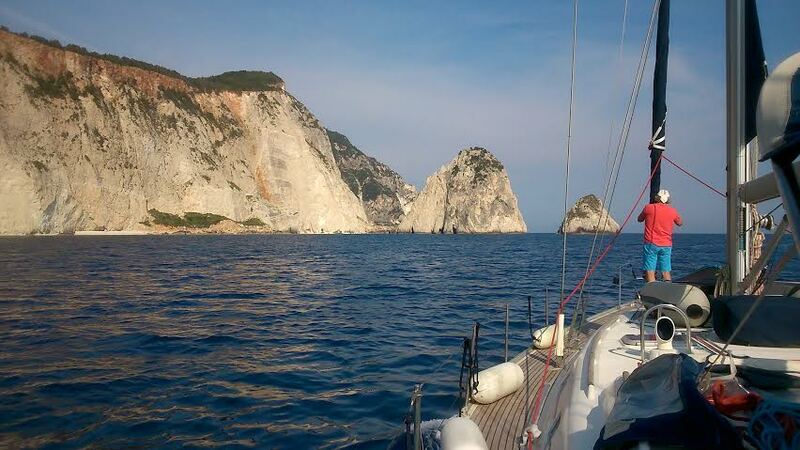 After rounding cape Gerakas we enter the National marine Park. 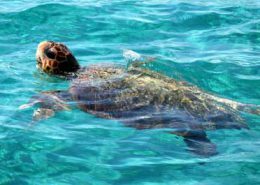 The protected sea turtle Caretta-Caretta area. 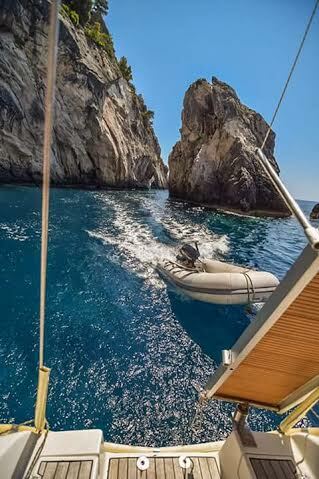 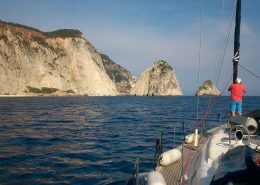 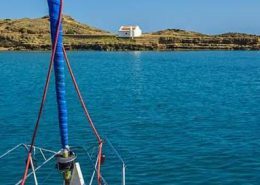 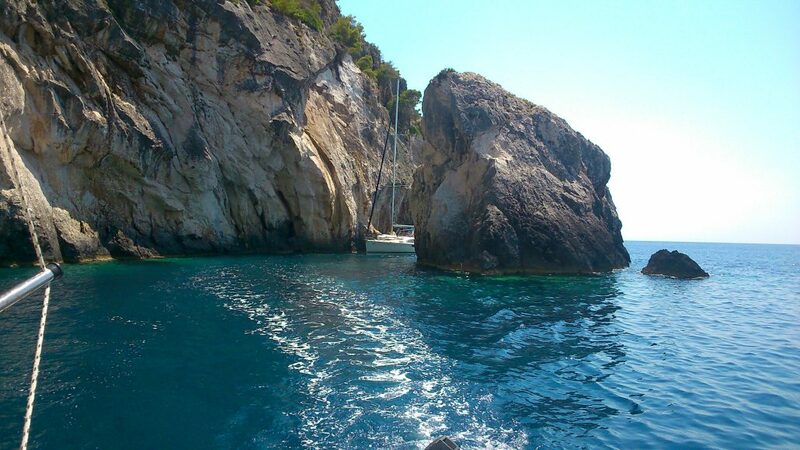 In the bay of Laganas we pass the islands Pelouzo and Marathonisi and steer for the Blue Caves of Keri. 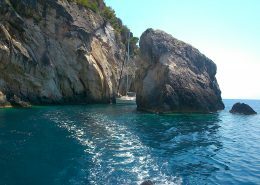 Under the high cliffs we stop for swimming and snorkeling in one of the caves,after which we head for the small fishing village of Limni keriou. 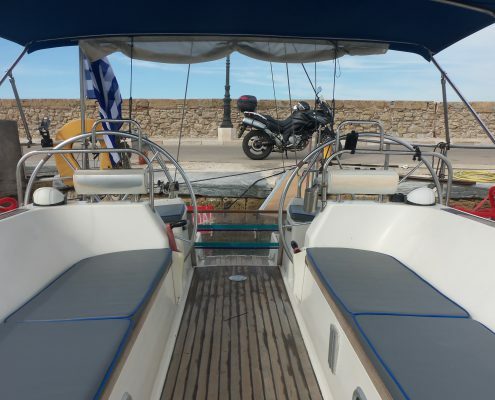 There you have enough time to get to one of the tavernas,to do shopping or enjoy the village beach. 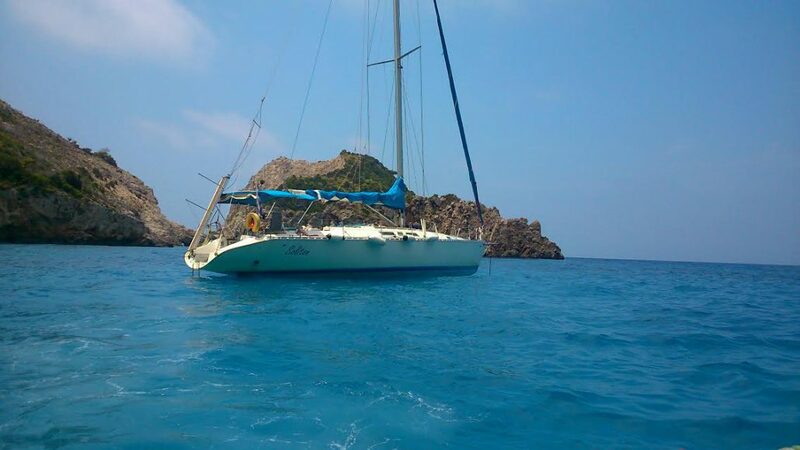 Depending on the wind we will now sail back close to the turtle island Marathonisi through Laganas bay. 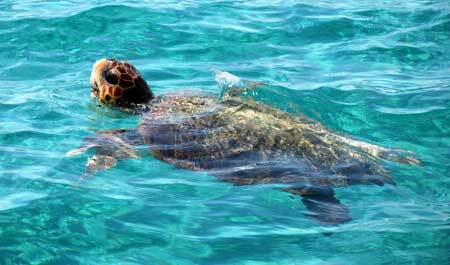 Here in the warm waters we hopefully get a closer look on a seaturtle and head back for the port. 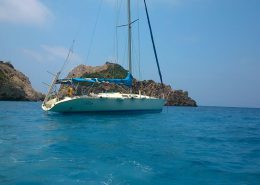 We try to find you lovely places for relaxing, swimming and snorkeling. 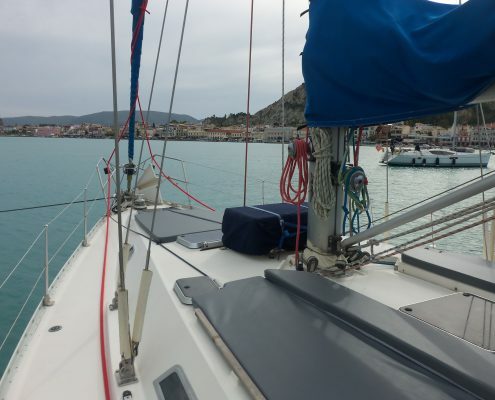 The program is depending on wind and weather-conditions. 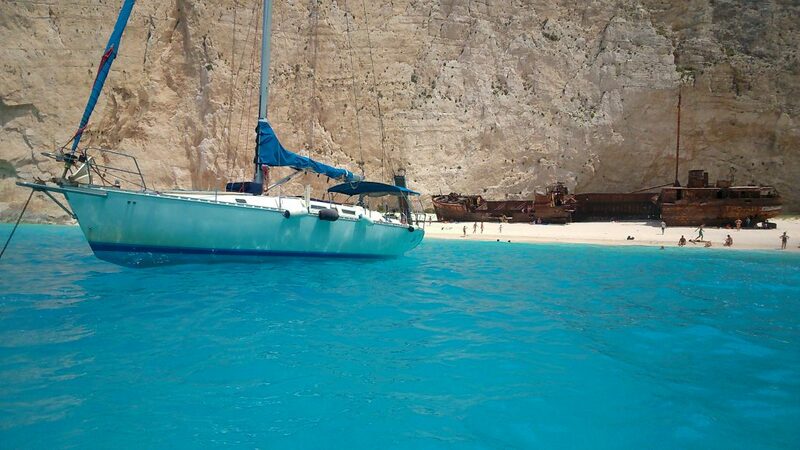 Sailing experience is not needed but you are more than welcome to participate in hoisting the sails etc. 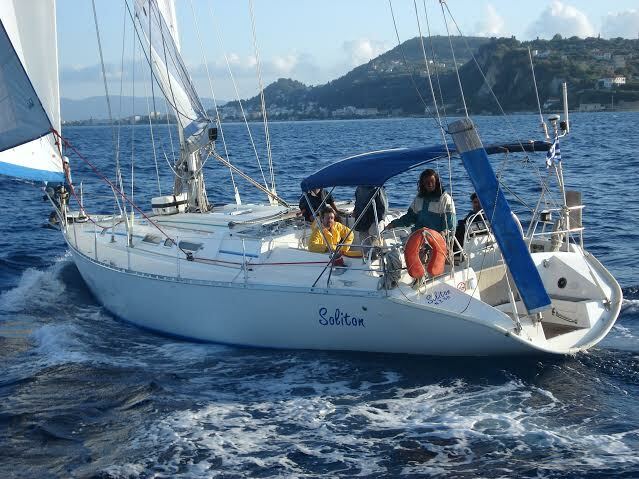 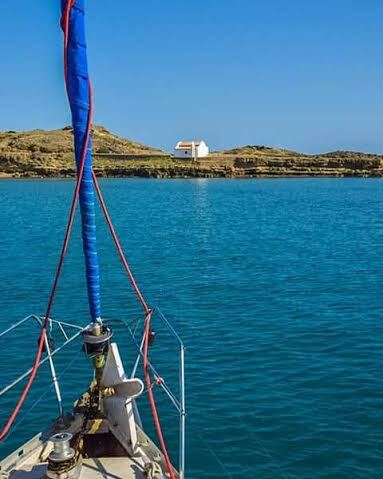 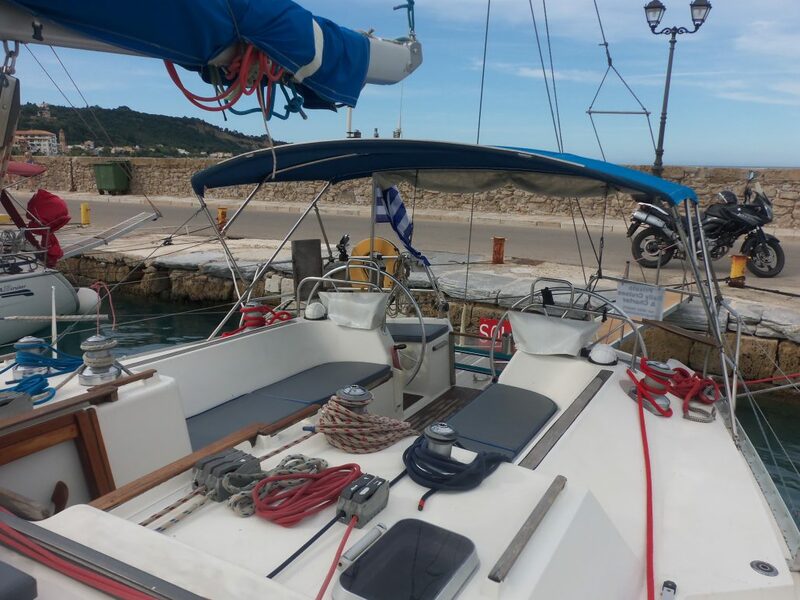 Soliton is an Atlantic 49 sailing boat manufactured in Greece. 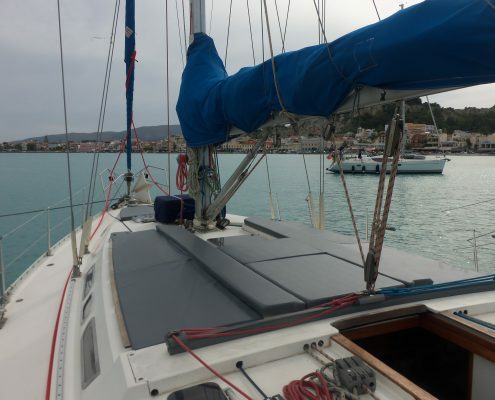 It’s a masthead sloop 49′ (14,75m) length overall, 15,02′( 4,58m) beam and 6,56′(2,00m) max draft. 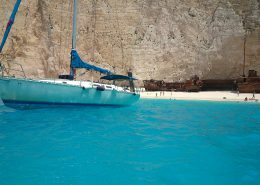 Alexandros, was born in Chania, Crete. 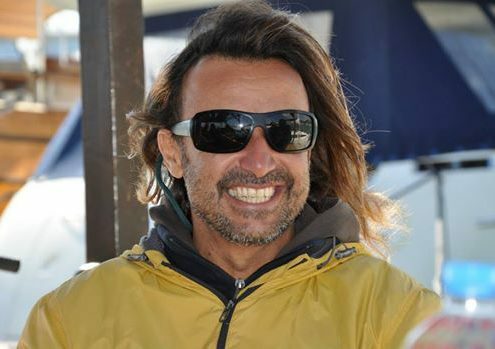 but also one of the most well-respected professionals in his field. 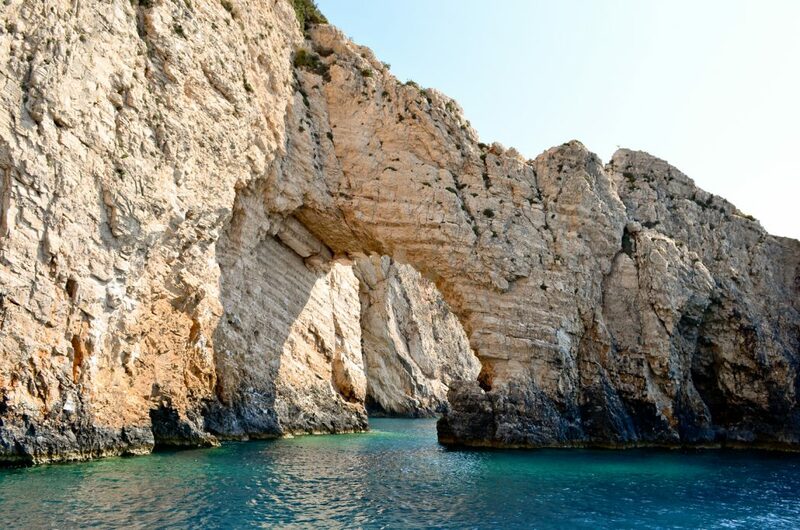 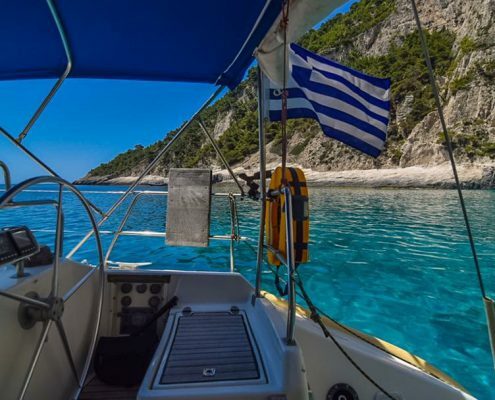 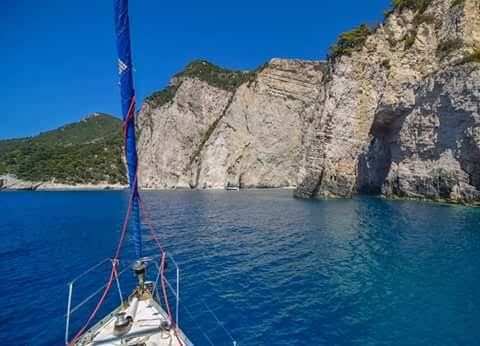 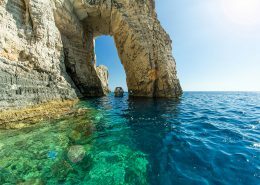 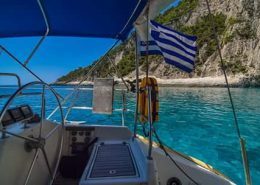 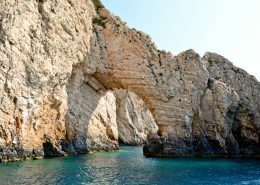 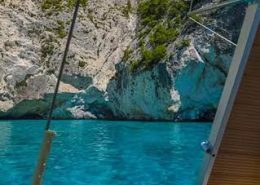 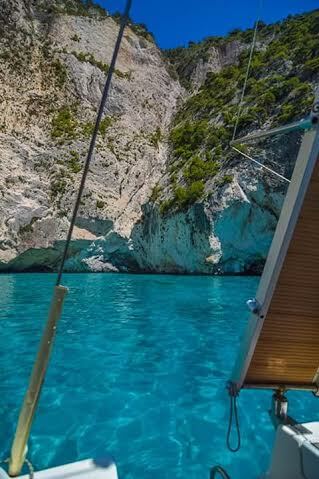 If you’re looking for an unforgettable cruise, then trust Zakynthos Sailing. 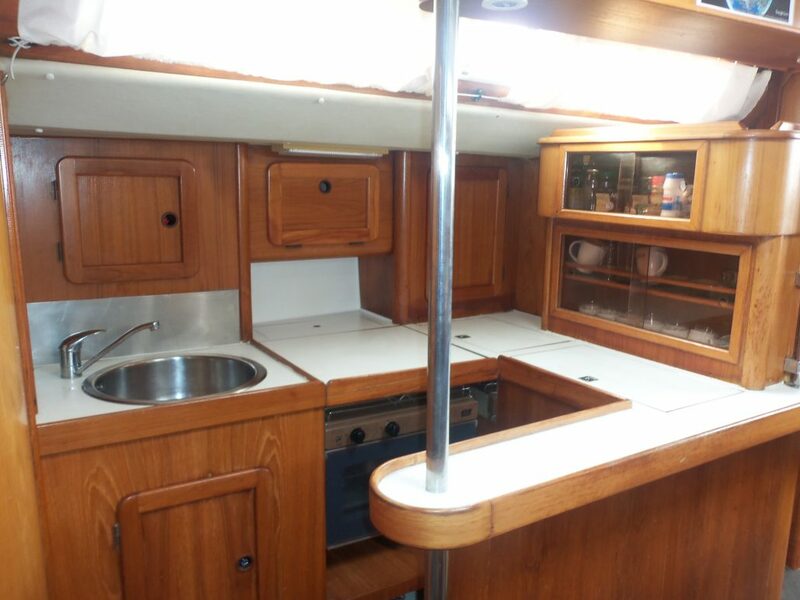 Feel like your own sailing yacht ! 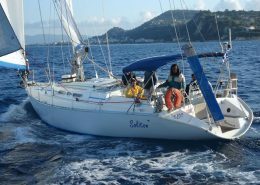 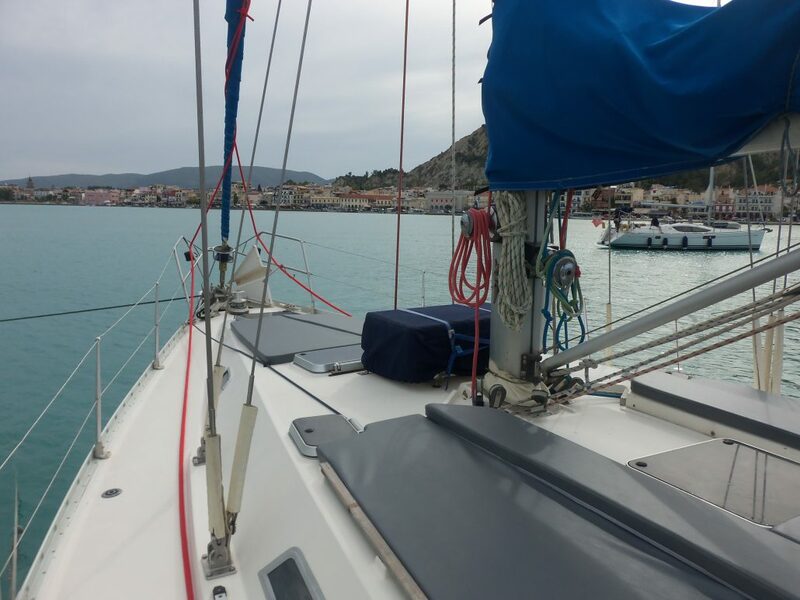 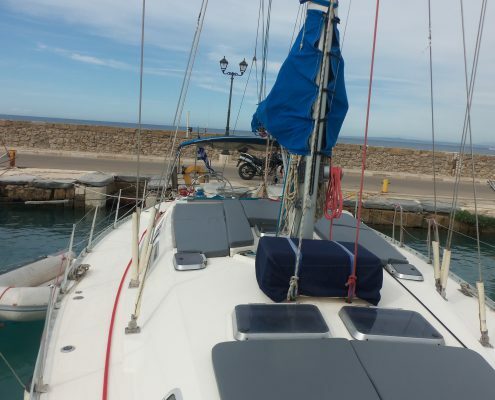 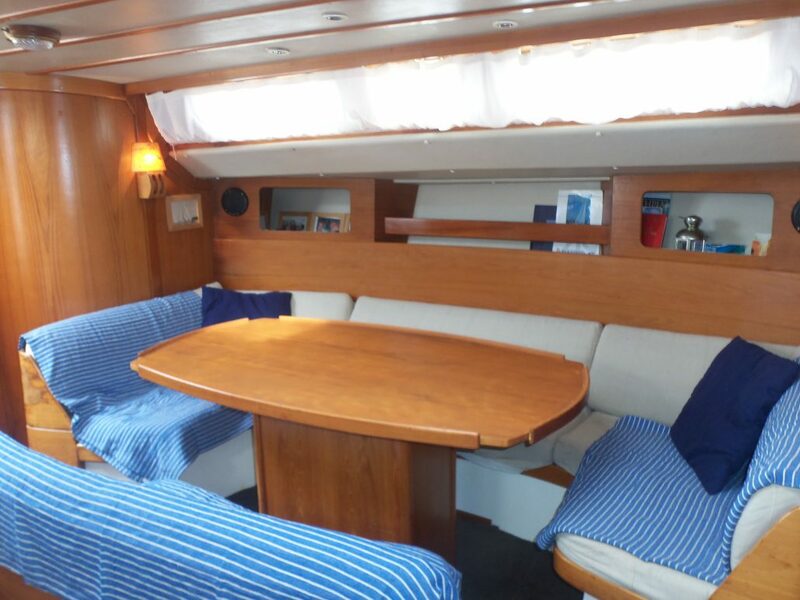 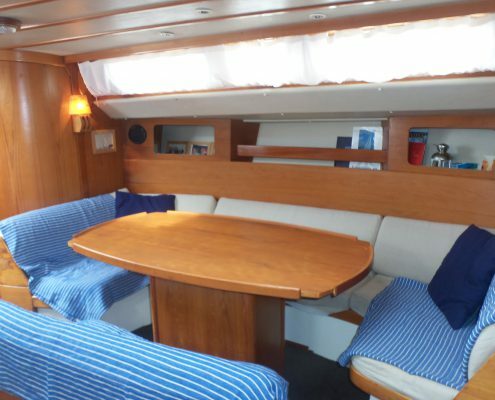 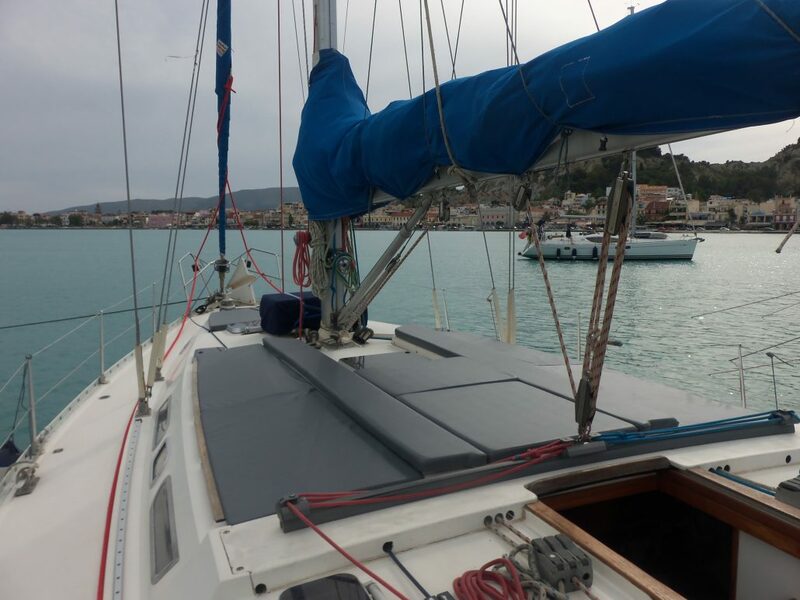 Enjoy the lifetime experience of chartering a sailing boat! 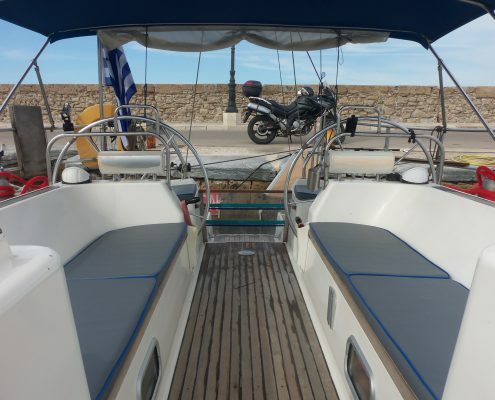 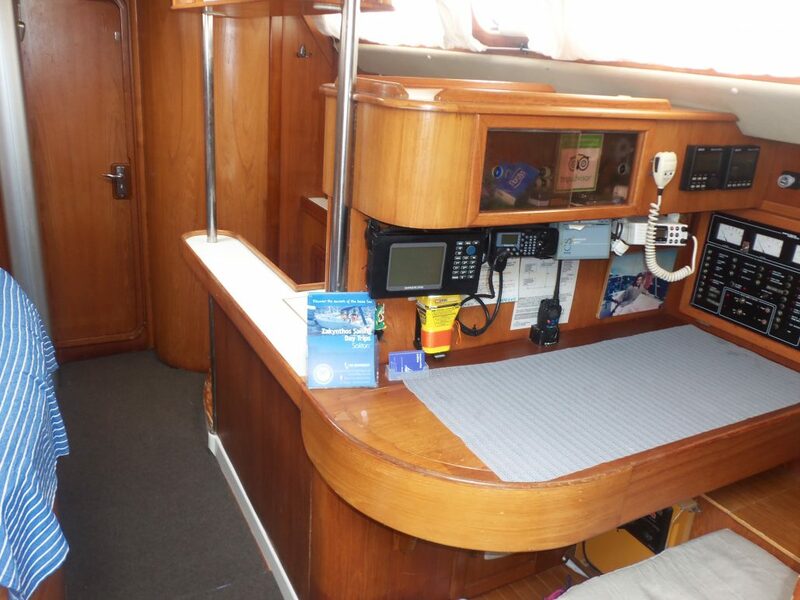 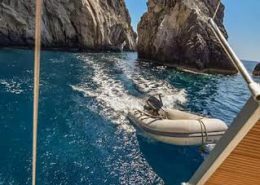 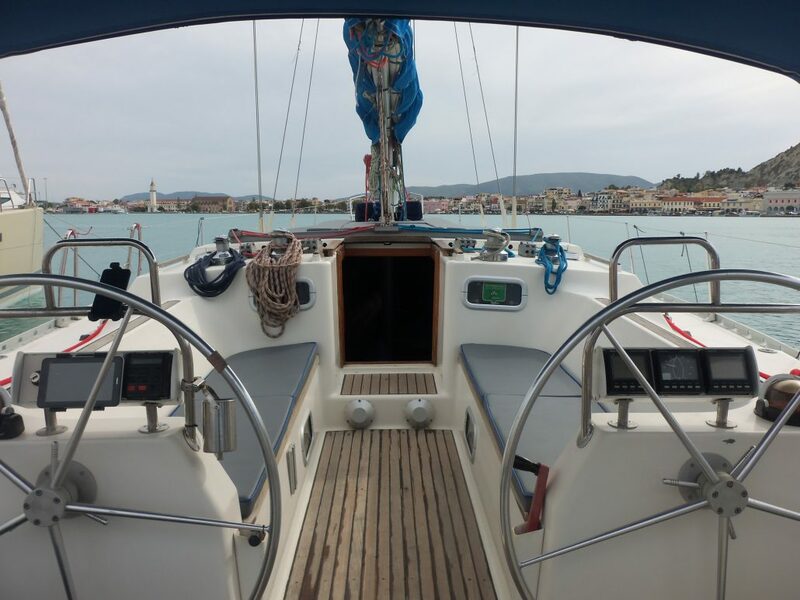 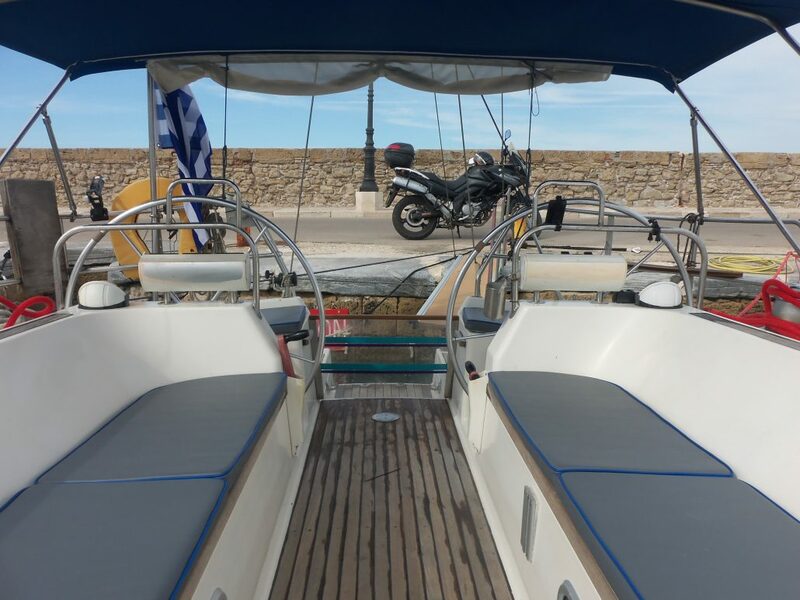 Our yachts all come fully equipped for bareboat charters. 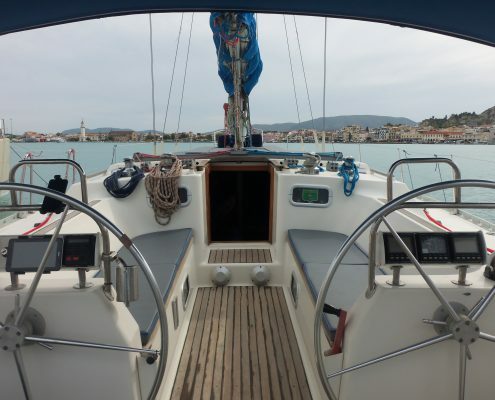 300m straight ahead from the Solomos Square.